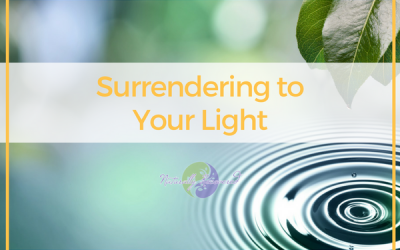 A visualization meditation that will allow you to let go of the old belief that you are unworthy and embrace the light and miracle that you truly are. A short, guided meditation that will allow you to move beyond your past, allowing the healing process and forgiveness to begin. A short, guided meditation that will aid in your ability to find a balance between trust and self-preservation. A short, guided meditation that will allow you to let go of self-deprecating thoughts and enable you to embrace your gifts, talents, and freedoms moving forward. A short meditation that will allow you to let go of the outcome and be present in the moment. It will allow you to find peace and open you to new experiences that would be otherwise lost. A short and easy meditation that will inspire you to share what you've found in recovery, finding freedom and deep fulfillment. A short, guided meditation that will help you to find space between your initial reactions and the action that follows, allowing you to act with grace and dignity. A short meditation you can use anytime you need a little help taking it a day at a time, an hour at a time, or even a moment at a time. A short, guided meditation that will aid you in letting go of judgment, tendencies to look at the world in comparison, and your ego. You'll deepen both your recovery and your relationship with your Higher Power. A short, guided meditation to allow you to start your day in recovery. Setting the tone for a day full of miracles and grace. A short guided meditation that will allow you to let go of resentment through a simple breathing exercise you can do anywhere.